Hamamatsu ORCA-ER B & W Digital Camera Model C4742-95-12ERG for Microscope . New Life Scientific, Inc. 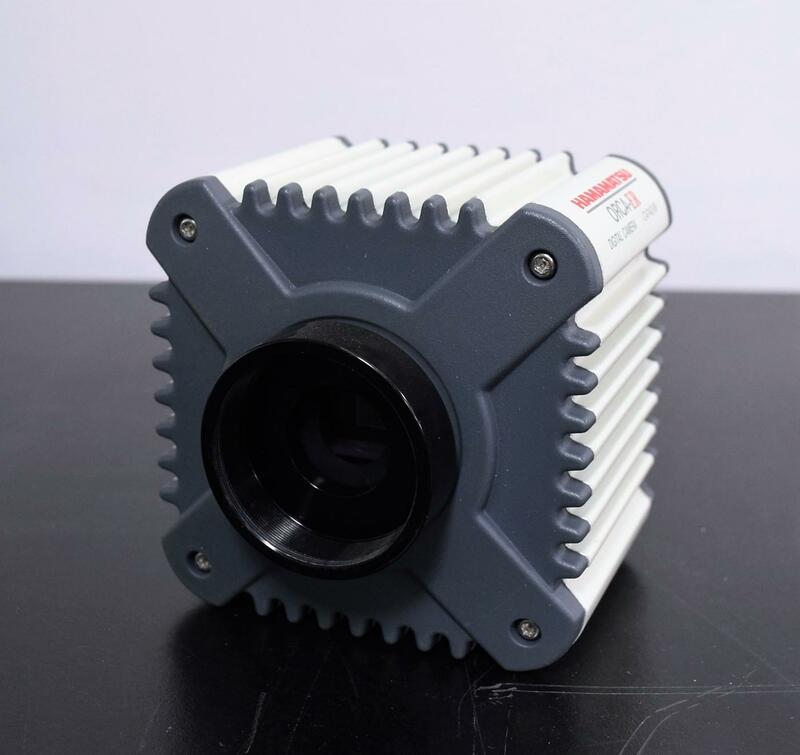 This high-resolution digital camera has no mechanical shutter, instead, it has a progressive scan interline CCD chip. It has a 1.3 million pixel and 10 or 12-bit digital output. This CCD chip provides exceptional sensitivity in the UV and blue to green spectrum and electronic shuttering from 80 microseconds to 10 seconds integration. Untested but inspected by our technician but backed with a working guarantee. The lens is clear and unscratched. It is in great cosmetic condition. We realize that buying a second-hand instrument can be unnerving, so we offer a 90-Day Warranty to protect you against any equipment failure or defects.